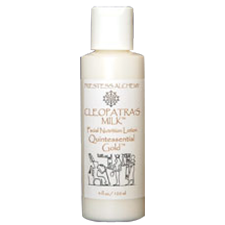 Cleopatra’s Milk™ is a multi- purpose ORME lotion. As a skin serum, it leaves a silky rose petal finish. Makeup flows easily over it. 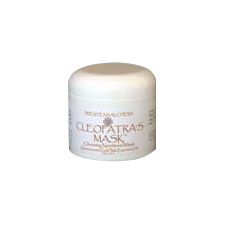 It can also be used as a penetrating balm for muscles, joints, and tendons, to help relieve muscle stress and pain. Excellent on cuts, scrapes, and bruises. physiotherapy etc etc. All three skin products, including the mask, have relieved my face of the usual, uncomfortable frost-burn I get in the cold months, for which no other products have worked (and I’ve tried hundreds!) 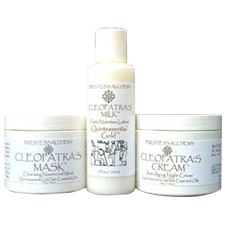 My skin feels smooth and beautifully hydrated, and it has a rosy glow instead of those unseemly red splotches.